Happy Tuesday! 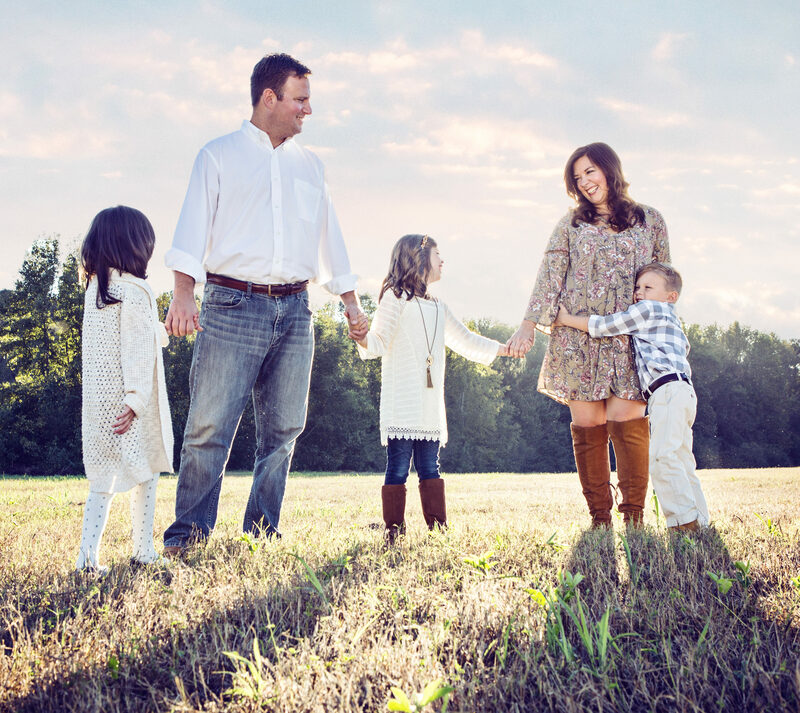 I hope you had a wonderful weekend and a great start to your week! 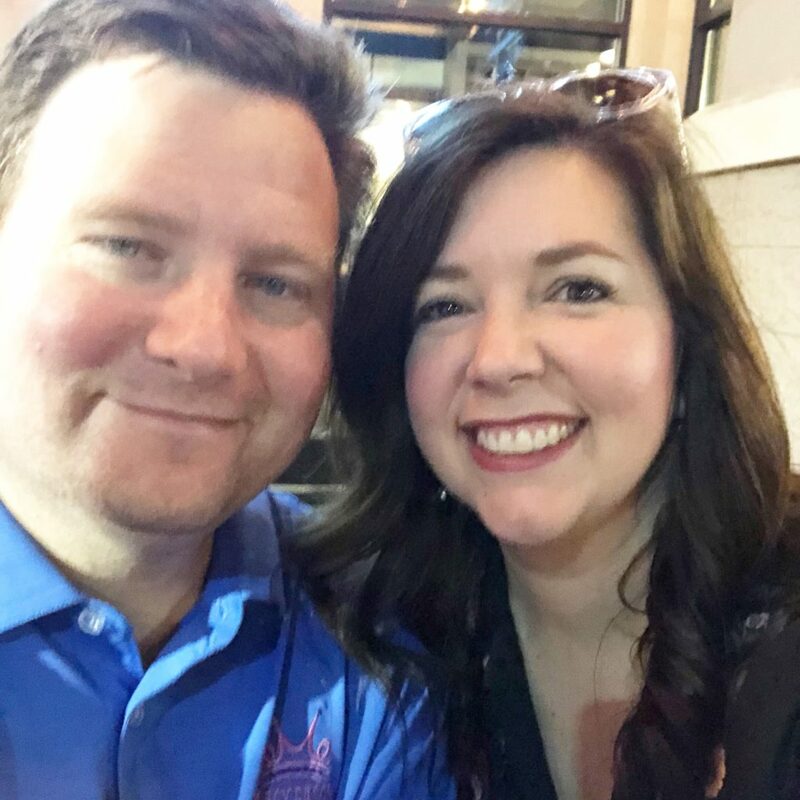 Our weekend was busy and full of soccer and softball and cleaning and preparing for our trip this week… Scott and I were in the car all day yesterday, and are away for a few days in Orlando (or ‘Lando, as Ben says)! It’s not quite as fun as it sounds, we are both be working while we’re down here, but it’s a nice getaway! And please say a prayer (or a few!) for my saint of a mother who is at our house watching the kids and ALL the dogs (Ruby and Dexter, and her three dogs too!). 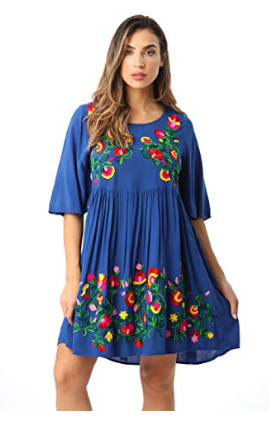 This embroidered dress comes in several colors, but the beautiful colors really stand out on this beautiful cobalt blue! It was a favorite last summer, it’s comfortable, and flattering, and perfect for a casual dinner out! 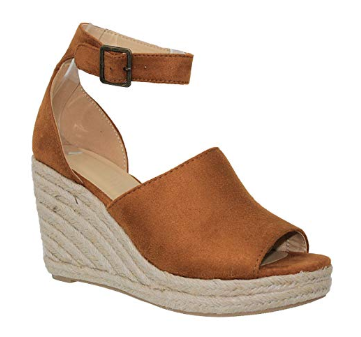 These tan platform sandals go with everything, which makes it the perfect shoe to pack for vacation. They can be worn with every casual dress I brought, and though the platform gives them plenty of height, they’re still really comfortable. The one thing I did buy was this SUPER CUTE round straw bag!!! I bought this one last year, but it was a bit smaller than I was anticipating. So when I saw this one in store a few weeks ago, it’s larger size, cute handles, AND shoulder strap, AND the fact that it was less than $15, I knew it was meant to be. It will go with everything this summer, and is the perfect bag for dinners out. I lived in these rose gold slides last summer! 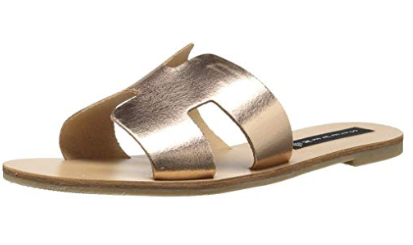 I wouldn’t mind getting a few other colors this summer (these and these are a fraction of the price and just as cute), but for this trip, the rose gold ones go with everything. And they’ll give my feet some relief from the heels I’ll be wearing during the day! I packed a few more dresses, casual and professional, a few more pairs of shoes, and really, that was about it! And mamas, how much easier is packing when you only have to pack for yourself??! 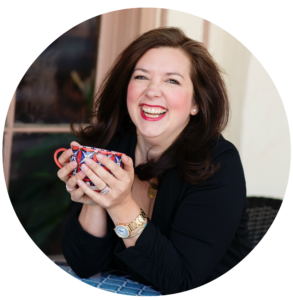 I hope you have a wonderful day- and follow along on my Instagram, both @amanda_goatandlulu and @magnoliamarketinggroup, as I document our trip!